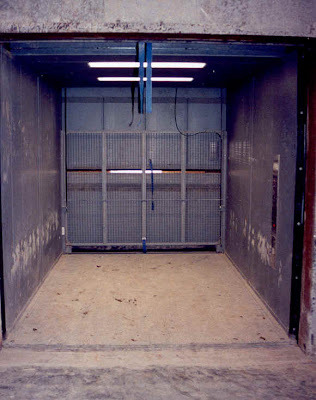 Genre: Contained ThrillerPremise: A newly married couple find themselves stuck in an elevator with a strange man. About: This script was optioned recently by Relativity Media. Russo has spent a lot of time perfecting his craft, writing 8 screenplays before this one was optioned. You can learn more about Greg in an interview he did over at Go Into The Story. Details: 96 pages – revised draft, Feb 29, 2010 (This is an early draft of the script. The situations, characters, and plot may change significantly by the time of the film's release. This is not a definitive statement about the project, but rather an analysis of this unique draft as it pertains to the craft of screenwriting). Talk about a nightmare. He was in some building that hadn’t officially opened yet, and was leaving right before the weekend when the elevator got stuck. There was literally no one in the building and he knew no one would be there for another 48 hours. But he lived! And I heard he got a nice little settlement out of it. So don’t feel too bad for him. That brings us to today’s script, Down. 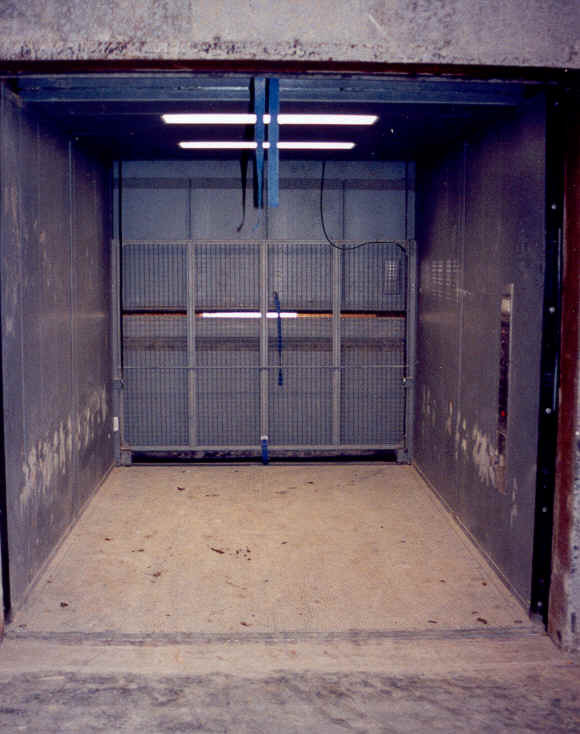 We’re back in the ultra-competitive “contained thriller” market, and what’s more contained than an elevator?? Well, besides a coffin of course. The question with these scripts is always, can you make it interesting for 90 minutes? That’s the challenge. Because making it interesting for 30 minutes is easy. Every minute after that gets harder and harder. So did Russo do it? Well jump in and we'll head down to the lobby together. Kevin is a young unemployed filmmaker who’s about to elope with Kelsie, a cheerful bank teller with rich parents. These two are gaga in love. The kind of love that makes you roll your eyes. The kind of love where every five minutes you hear the words “Get a room.” The kind of love that makes The Bachelor look like Fear Factor. The two don’t have time for all that ceremony nonsense. They just want to get married and go on their honeymoon. And that’s the plan. They’re going to grab their marriage license downtown, then hurry over to the airport and catch a flight to Tahiti. They’re giggly, they’re bubbly. Things are looking pretty damn good for Kevin and Kelsie. Well, so far that is. Heh heh. How long is a 15 floor elevator trip supposed to take? One minute? 90 seconds? Well, we’ll never find out because a few seconds after the elevator starts, it STOPS. It’s not a pleasant moment no matter who you are, but Kelsie gets panic attacks in ball rooms, and this is a lot smaller than one of those. So she understandably starts freaking the hell out. In the meantime, Liam is as calm as a 20 year old tabby cat. He politely introduces himself and informs them that he actually works on elevators for a living. He claims that this kind of thing happens all the time. Not to worry. This was one of my favorite choices in the script. As soon as we realize Liam is an elevator expert, we know something weird is afoot. And even though we’re ahead of the story, that’s what makes it fun. We know this guy is bad news for Kevin and Kelsie, and we can't wait to see how. The conversation that follows is that awkward “getting to meet you” conversation you have with people who you have nothing in common with. You latch onto the tiniest common interests like a piranha, and when those nuggets dry up, the awkward silence drives you to do stupid things, like talk about your personal lives. And that’s where the script gets interesting. It turns out that Kevin is a struggling filmmaker who hasn’t worked in awhile, while Kelsie not only slaves away at a bank job she hates, but her parents are super rich. Liam finds this quite amusing, and while he doesn’t make any direct accusations, he does bring to Kelsie’s attention that a man without a penny to his name and no desire to work just married someone with an unlimited bank account. I think we all know where this is going. Liam isn’t in this elevator by accident. He knew Kelsie and Kevin were going to be here today. He possibly even planned being on this elevator, at this moment, leaving it open as they ran to it. And if Liam has been doing all these things, then Liam must have a really big beef with Kelsie and Kevin. And that beef is exactly what's going to be Kevin and Kelsie's "down" fall. heheh. I know I keep saying that the contained thriller cycle is near the end of its rope, but there’s one thing I keep forgetting. Contained thrillers are cheap to make. Really cheap. So if you come up with a concept that’s compelling enough and you do a good job executing it, I can see companies taking a chance on it because the financial burden is so minimal. I think what also gives contained thrillers a distinct advantage is that they’re basically the perfect fit for the spec format. In specs you want everything to read fast, you want a low page count, you want a low character count, you don’t want to waste a lot of space describing everything. The very nature of contained thrillers help them meet all this criteria. It’s the peanut butter to the spec format’s jelly. But even though you eliminate some problems, you add others, and those others can be extremely challenging. Since you don’t have the advantage of jumping from location to location, character to character – since the story is so contained, so minimal - you have no other choice but to litter your script with surprises and revelations. The surprises need to be character based, as the setting usually doesn’t allow many surprises on its own. And this can be challenging, because audiences have pretty much seen it all. Do it right though, and you can get rich. That little twist at the end of Saw where the dead guy gets up and walks away helped spawn five sequels! I thought Down did a pretty good job in this department. I mean, we know that Liam is bad. So that wasn’t really a surprise. But Russo makes some pretty bold choices here and man are there some surprises I didn’t see coming. Further still, he takes the script into another genre in the last act, and while I may not exactly agree with the choice, I thought it was an interesting one, and it does what it needs to do to keep the contained thriller going. It changes the dynamics. It changes the story. It keeps everything fresh. I know they’re still working on this so I’m not going to go into a lot of detail, but overall I thought it was pretty good. More importantly, I think it could be even better if they can focus that second half. It got a little wily at the end there. A strong premise, and a pretty good execution made this an interesting read. What I learned: One thing that annoyed me in Down, and I’ve mentioned this issue before, is that the main characters’ names are too similar: Kevin and Kelsie. The problem with this for a reader is that a lot of times in a script, there’s a pause in the conversation, then the same character will start talking again. The reader doesn’t pick up on this right away because of the assumed “his turn then her turn” rhythm of the dialogue. So they end up reading the wrong dialogue for the wrong characters. If characters are named JAMES and OLIVIA, this is easy to spot. But if they’re Kevin and Kelsie, you may read a full page of dialogue before you realize you’ve mixed the two characters up. So it’s always good to make sure your main characters have easily distinguishable names. The only exception is if the sameness in their names plays into the story somehow.